Without a doubt, just about everyone’s favorite booth at the Pompano Beach Seafood Festival is Papa’s Raw Bar. So, how do you make the best booth at the renowned Pompano Beach event even better? How about adding Pompano Beach’s top local brewery? 26 Degree Brewing Company will now be on site to serve up the brews. The 26 Degree Brewing company opened in 2014 at their location at 2600 E Atlantic Blvd, across the street from Publix. They’ve been attracting big crowds ever since. Papa’s Raw Bar and their sister (parent) restaurant Papa Huey’s Seafood World have been serving fresh seafood since 1976 from their Lighthouse Point location on Federal Highway. They are considered to be one of the best seafood restaurants in the Pompano Beach-Lighthouse Point area. The 35th annual Pompano Beach Seafood Festival will help kick off summer with a ton of seafood, arts, crafts, vendors and live music. Due to construction by the pier, this year’s festival will take place at the Pompano Beach Amphitheater and Community Park instead of the usual beach location. 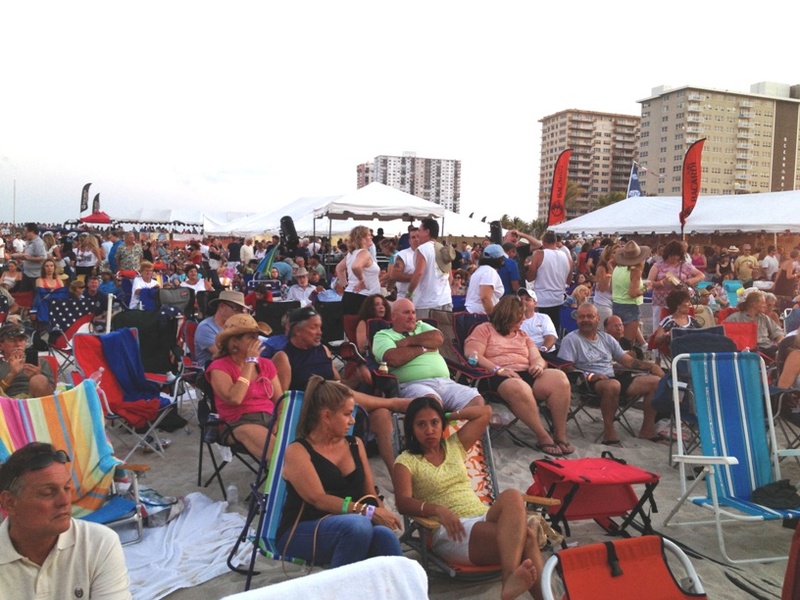 There will be three stages set up for the festival, with the Pompano Beach Amphitheater hosting the headlining acts. Admission to the amphitheater is free with your event ticket purchase. Zach Deputy will headline Friday night’s festival (8:45 pm). Foghat (5:45 pm), and the Guess Who (8:15 pm) will perform on Saturday. Inner Circle will close out the three day Pompano Beach event on Sunday evening (6:15 pm). When: Friday April 26, 2019 from 5 to 10pm; Saturday April 27, 2019 from 10am to 10pm and Sunday April 28, 2019 from 11am to 8pm. For more fun things to do in Pompano Beach and all of the season’s biggest events read Pompano! magazine and search our website.